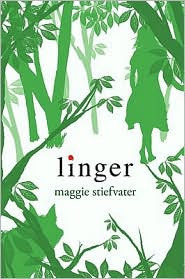 My thoughts on LINGER by Maggie Stiefvater. I'm not going to lie, I ran out and bought Linger the day it was release on July 13th. I had bought two books in the same day and read the other first, but I read through Linger so fast, it was a great book. I fell in love with Sam and Grace in Shiver, and Linger did not disappiont me at all. There was an element to Linger that I seemed to enjoy a little more though. Switching back and forth between Cole, Isabel, Grace, and Sam showed that each character had their own problems and their own demons to fight, and I absolutely LOVED this. Each of them have to learn to deal and heal what their past has done to them: Cole with his music, Grace with her wolves and parents, Isabel with Jack and her parents, and Sam with his horrifying past and trying to figure out what his future has to hold. I really enjoyed all the romance and fighting through out the book, it was real. Everything is not perfect in real life. You fight, you cry, you get angry, and you do stupid things. Reguardless of those, you have to learn to deal. But, when you have something good you have to fight to hold onto it and don't let anything get in the way. 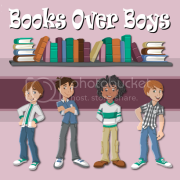 I've read some reviews where people say this book was predictable. So what if it is? Think about all the chick flicks you go out to watch. Lets see.. hmmm... The Noteboook. Everyone knows she's sick and she's going to die in the end, yet you still love to watch her fall in love and cry at the end, but you still LOVE it anyway. (You go N.SPARKS for the awesome book)! "'Aren't you afraid?' Isabel asked, suddenly, and I opened my eyes. I hadn't realized I'd shut them. Her gaze was intense.